"Weddings, birthdays and other major life events are just not the same without a beautiful cake to celebrate!" This was the thinking as sisters-in-law Jenny and Breanna sat down one evening to fashion an 80s inspired cake for Breanna’s forthcoming 30th birthday party. While their husbands – who are brothers – watched footy on TV, Jenny and Breanna modelled My Little Pony and Rainbow Bright ‘Sprite’ characters to sit atop the giant Rubix cube cake that Jenny had made. 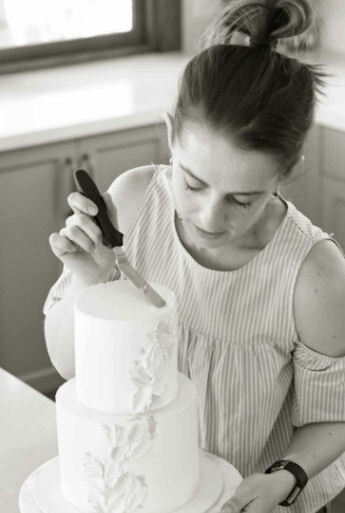 With a background in marketing and hospitality, Jenny had been making cakes and desserts for family members and friends since her teens. Breanna’s background in fine arts and photography had seen her also dabble in jewellery making and stationery design in a bid to find her perfect creative outlet. And so it was, over this kitschy 80s cake, the two skill sets combined and the idea of Sweetest Jubilee was born. In 2012, Sweetest Jubilee began trading from its home-based registered kitchen in the north-eastern suburbs of Melbourne. Sweetest Jubilee endeavours to create beautiful and delicious sweet treats for your celebration. Our vast range includes wedding cakes, birthday cakes, cupcakes, macarons, cake pops and cookies, and is constantly evolving to incorporate the many requests our clients make for their dessert tables. Our products are made to order and are designed to suit the personality, style and budget requirements of each individual client. While our vast back catalogue often reflects the special design requests of our clients, our own personal style falls in the realm of rustic glam. We love decorating with fresh flowers, experimenting with new techniques and making cakes that look as delicious as they taste! We love working with other like-minded businesses. If you would like to collaborate with Sweetest Jubilee on a special project, please contact us. Sweetest Jubilee is a proud member of Life's Little Celebrations and the Australian Cake Decorating Network.